Concrete / IPS Floors on usage over time have the tendency to start disintegrating, breaking, leaving out cement dust, retain oil which gives a bad appearance to the floor. We offer Epoxy / PU floors which on laying provide superior over laying of tiles / stones etc on floor. These are very attractive, joint free, oil resistant, stain free and provide very hard surface which can resist the movement of Trolleys, Forklifts etc. Keeping in mind the precise demands of clients, we manufacture and supply a qualitative assortment of Epoxy Wall Coatings. 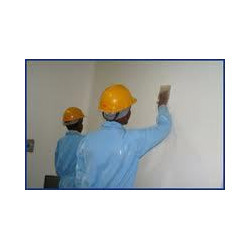 These products are solvent based products and provide tough and hard coating. Demands of these Epoxy Wall Coatings are increasing day by day owing to its excellent scrub resistance and perfect matt / semi gloss finishes. These are resistant to Alakali & acid and acclaimed for its less maintenance and care. Hospitals – ICU & Operation theatre, Kitchens, Industrial walls, Food Industry etc. 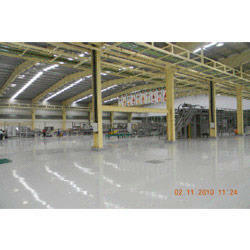 Looking for Epoxy-PU Floor Coatings ?